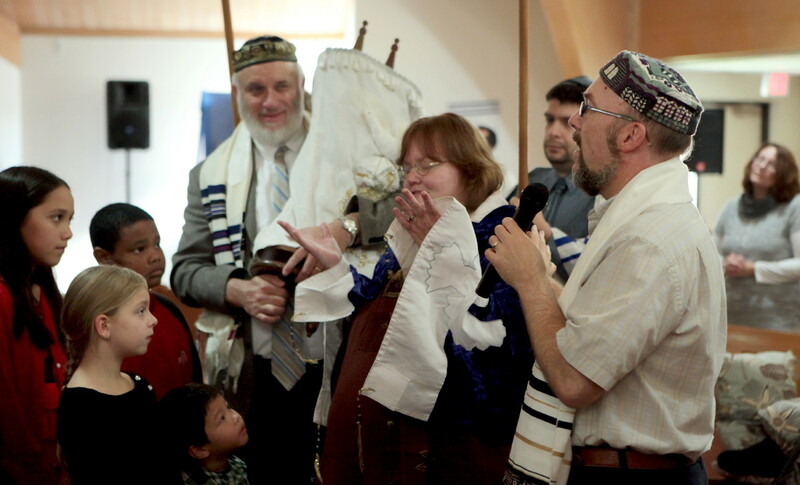 Beit Simcha has worship services every Shabbat starting at 10AM. Here’s a map and directions guiding you to our synagogue. Twice a month (usually first and third Shabbat), we have a Torah service. Like King David and the Levites, we worship with singing and instruments. As 1 Chronicles 15:16 says, “David spoke to the chief of the Levites to appoint their kinsmen to be singers making use of musical instruments – lutes, lyres and cymbals – to play loudly and raise sounds of joy.” Beit Simcha””s worship team includes drums, guitar, flute, keyboard, piano, accordion and occasionally our Messianic Rabbi on saxophone. 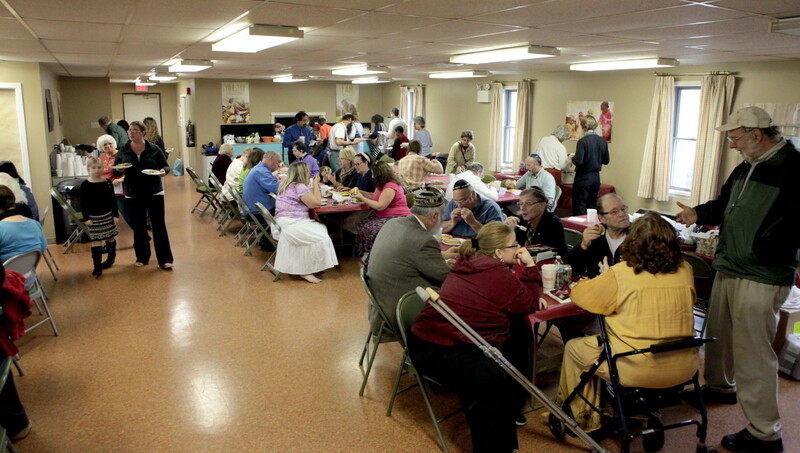 We believe God wants us to rejoice–hence Beit Simcha, House of Joy! We also worship God through traditional liturgy from a Siddur (prayer book). Many of these prayers go back to the time of the Second Temple & Yeshua. the Spirit of God (Ruach Elohim) is speaking in their hearts. We bless the children under a tallit before sending them to Shabbat school. 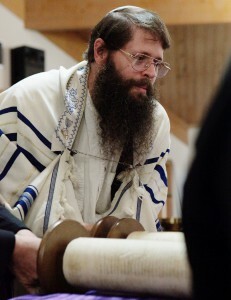 Usually, the first Shabbat of the month, the Rabbi chants from the Torah, translates from the scroll, and then gives a message about the parasha (portion) he had read. We often enjoy visiting speakers from Tikkun America (our apostolic and equipping network) and other national and regional ministries. We always urge our guest to go the front of the buffet-style lines and our Rabbi and others prioritize getting know our visitors. So visit us and stay for a while. 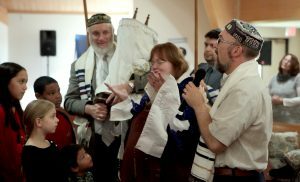 After oneg, we offer various classes: Hebrew (learning blessings from the Siddur or Prayer book), Messianic dance workshops, a monthly Torah portion study, Becoming One studies, and the Rabbi’s Messianic Foundations (Membership) class. All are welcome! Children enjoy playing out back. After the classes, we offer Theophostic Prayer Ministry, a biblically based intercessory prayer ministry for anyone in emotional pain. On the first and third Shabbats, some of us go out as a Prayer Station, offering prayer and the Good News of Messiah to a neighborhood in Allentown. Also rejoice with us in the Spring festivals (Passover through Shavuot, the Feast of Weeks or Pentecost), the Fall festivals (Rosh HaShana through Sukkot, the Feast of Tabernacles, and Simchat Torah), or other traditional Jewish holidays. Check our calendar to find out when the festivals, coffeehouses and other special events will occur next and plan to join us! Contact us to receive email reminding you about upcoming festivals, coffeehouses and special events. Here’s a map and directions guiding you to our location.